If you visit Florida in the near future, you may have a chance to see one of the rarest wild cats on earth. Or, you may just find a shopping mall. The future of this endangered cat was put in peril when a new land development, planned on 40,000 acres on Collier County, was proposed by Eastern Collier Property Owners, LLC to the county commission. 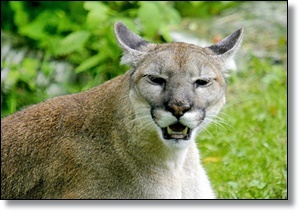 As the Tampa Bay Times reports, panthers have used this privately owned land, located between the Big Cypress National Preserve and the Florida Panther National Wildlife Refuge to the south and the Okaloacoochee Slough State Forest and Corkscrew Swamp Sanctuary to the north, to hunt deer and hogs. The planned development will occupy 20,000 acres of this panther habitat. This is bad news for the panther, which requires a large area to thrive. Only about 200 of these big cats remain alive in the wild. If the development succeeds, that number will likely plummet.